Aerial shot of flooded streets in Kingston being circulated online. 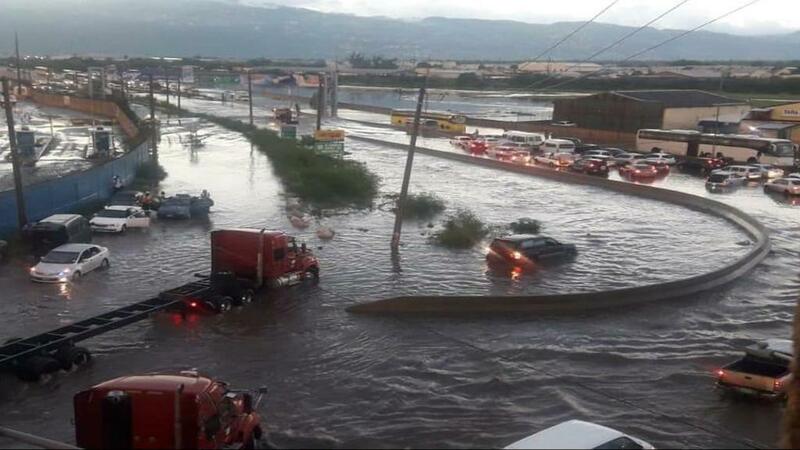 Angry motorists were left stuck in traffic for several hours late Tuesday afternoon into the evening after a sudden torrential downpour that was not in the forecast flooded many Corporate Area streets from downtown Kingston to New Kingston and everywhere in between. 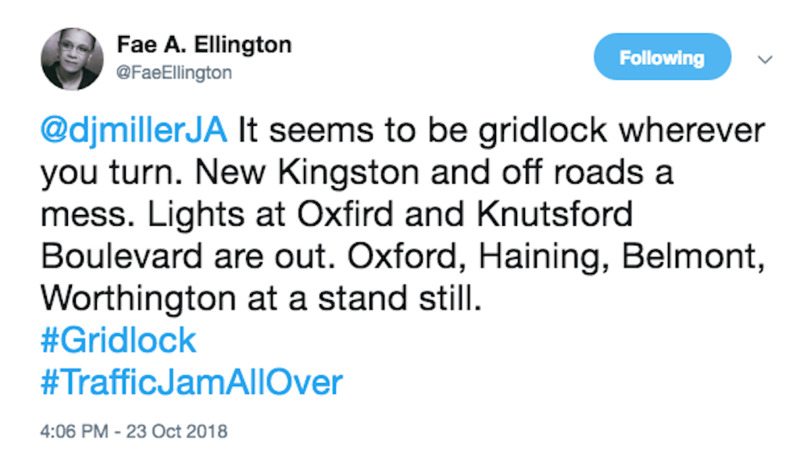 Major roadways from New Kingston to Hagley Park Road, where major improvement work is taking place, and sections of Marcus Garvey Drive were flooded. So too were sections of downtown Kingston and Waltham Park Road. Sections of Cross Roads were also underwater and commuters remained stuck in traffic for several hours as the inundated streets were transformed into the proverbial parking lots. 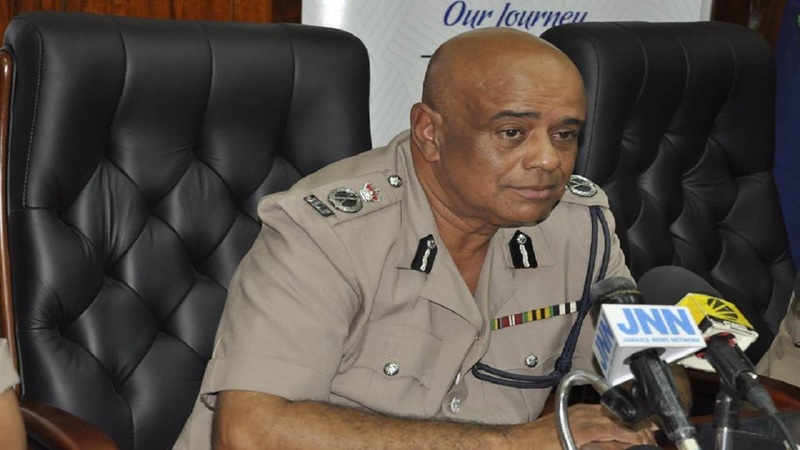 It was particularly bad along Hagley Park Road and motorists who found themselves stranded along that roadway sought to advise others via tweets to avoid the area. 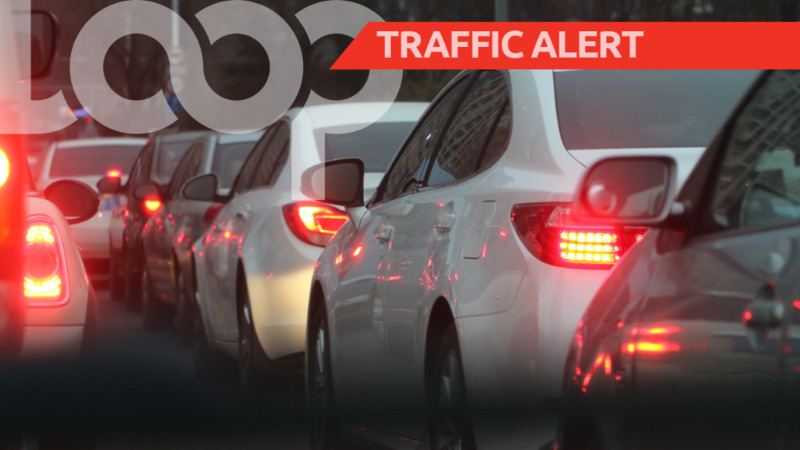 Based on checks made by Loop News and calls to our news centre, the widespread flooding extended to sections of Lyndhurst Road, Michael Manley Boulevard and Vineyard Town. 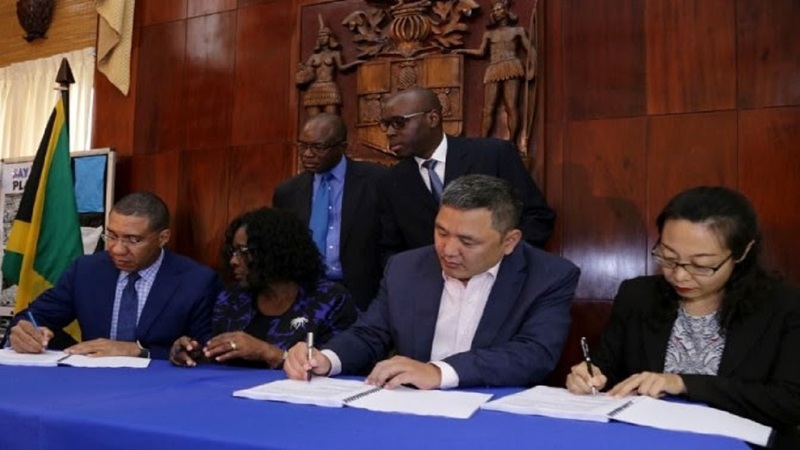 The resulting gridlock lasted well into the evening and had some motorists questioning the pace of the improvement works along Hagley Park Road and elsewhere which they blamed for the flooding, while expressing fear that it will happen again. With little or no rain in the forecast for Tuesday, the Meteorological Service explained that the sudden downpour, which lasted more than an hour, was caused by what is called an isolated thunderstorm cell that developed over sections of the Corporate Area. Portmore was also affected by heavy rains but there were no reports of flooding. “I was afraid my vehicle would get stuck in the mud,” a motorist who was doing business in the Hagley Park Road area told Loop News Tuesday night. For many commuters, they had never seen anything like it. Seemingly caught off guard, many pedestrians resorted to makeshift rain gear including ‘raincoats’ made of scandal bags. Marcus Garvey Drive was particularly challenging and some motorists expressed their frustration as they found themselves stuck in floodwaters along that roadway. Marcus Garvey Drive where a major road widening exercise has been completed for some time now continues to be inundated following heavy rain and motorists are not amused. “Is dry weather road that,” one man quipped as he related being stuck along the usually busy thoroughfare for several hours. WHO ‘COLT’ THE PALISADOES GAME? The 'Sheriff', the Deputy or the Supt?